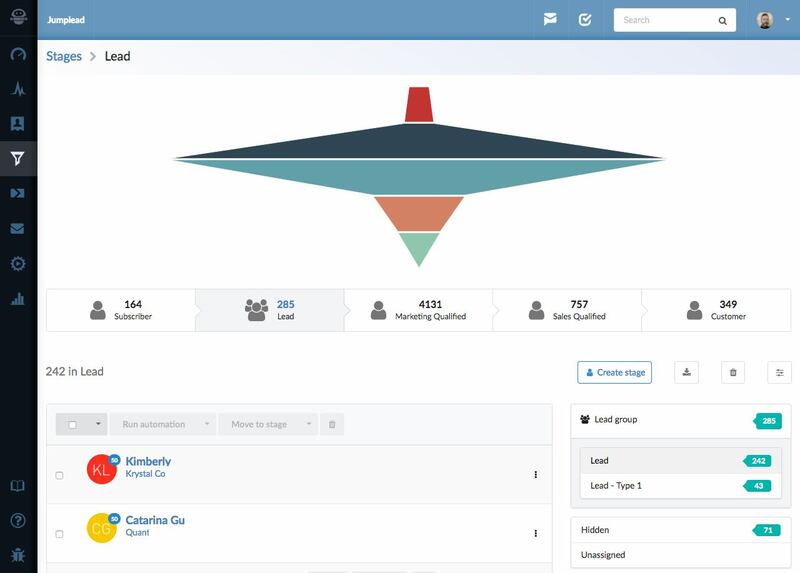 It can be useful to define a series of stages to represent a sales funnel through which you can move your contacts when they perform key activities such as subscribing or downloading an ebook etc. Once you have setup your stages you can add an action to any conversion form, landing page or activity stream to change the stage of the contact that converts. 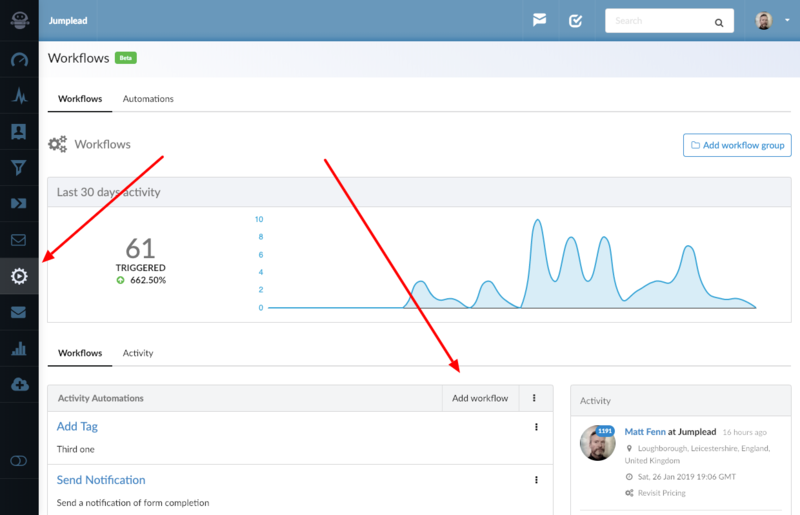 You can also use a contact's lead score as a trigger to make changes, which is useful in this instance as it is a broad indicator of engagement. 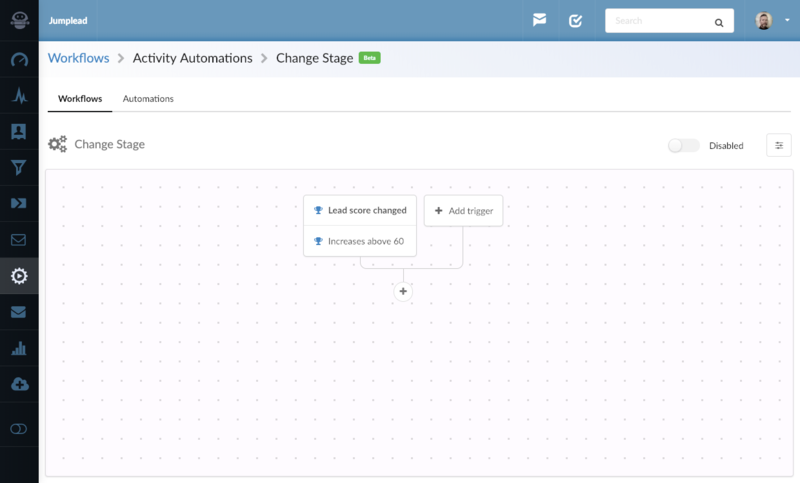 Create a new Workflow in the Automations section. 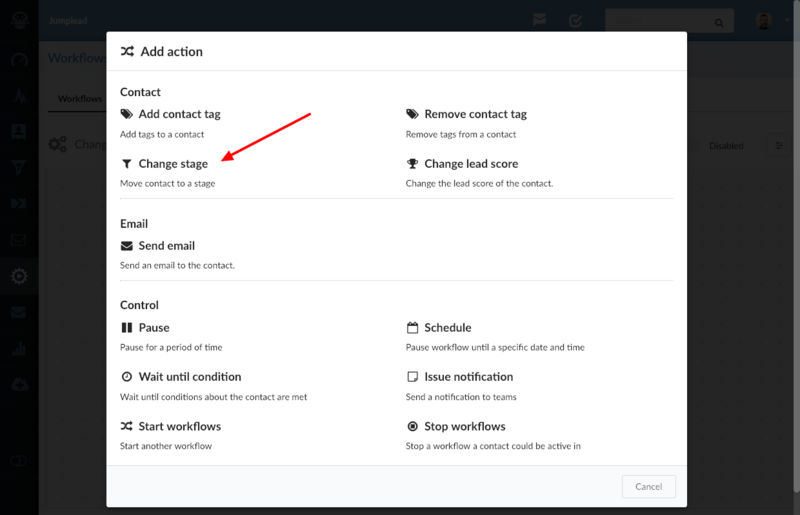 Give your new Workflow a name and choose whether you would like this Workflow to be triggered once or multiple times for a contact. Once you have saved your Workflow you will see it in the visual builder. 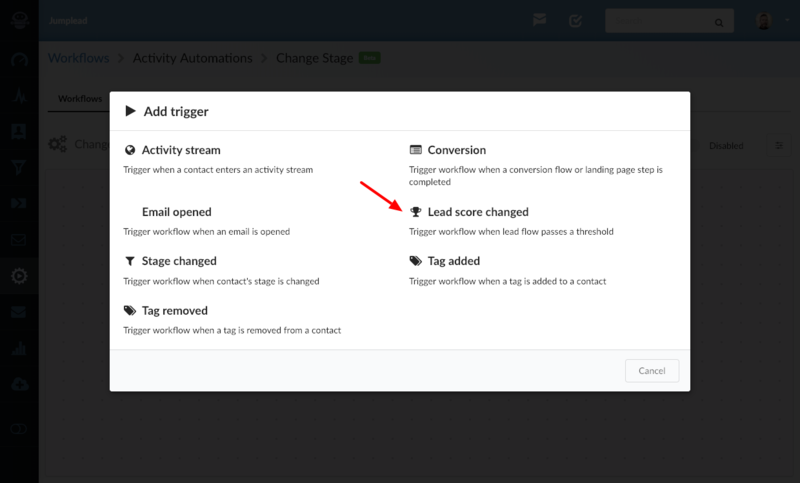 Click 'Add trigger' and select 'Lead score changed' form the trigger options. 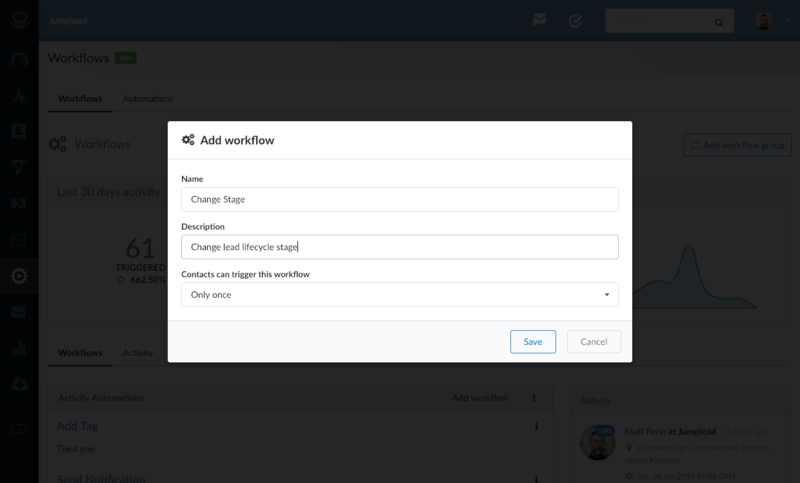 Then you can set the threshold you want to use to trigger your Workflow. I have set this one to tigger if the lead score goes over 60. Save that and you will be taken back to the visual editor, where you can see your trigger action. 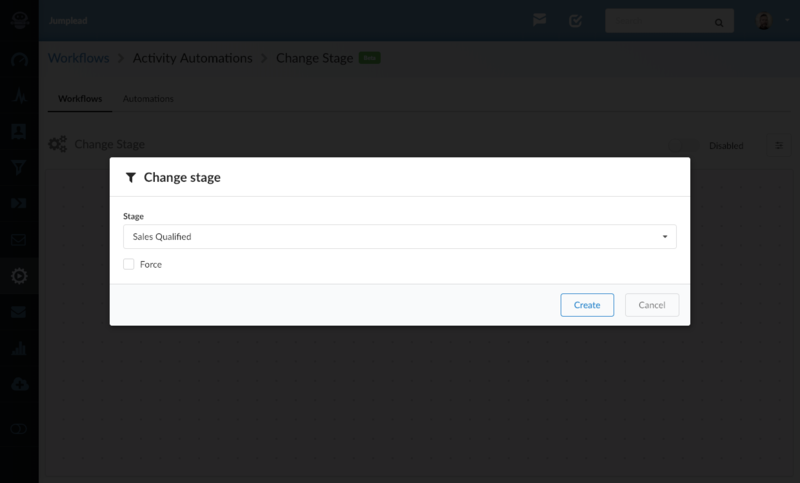 Click the '+' icon to add the action you'd like to the Workflow, and select 'Change stage' from the Action options. Then choose the stage you would like to move your contact to. I have chosen to make them 'Sales Qualified'. 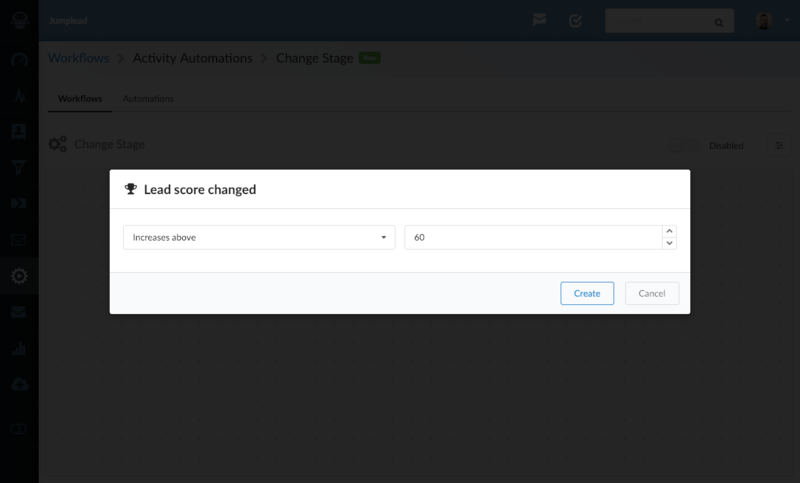 Save that and your Workflow is complete, when a lead's score goes over 60 they will become Sales Qualified and moved to that stage. Don't forget to enable your Workflow and you are good to go.